Colette has been selected to plan a student-run fashion show at Mouseford Academy, and her friends the Thea Sisters rally around to help. There's a runway to build, fashion bloggers to invite, and clothes to design. And as usual, diva mouse Ruby Flashyfur has a plan to land herse... read full description below. 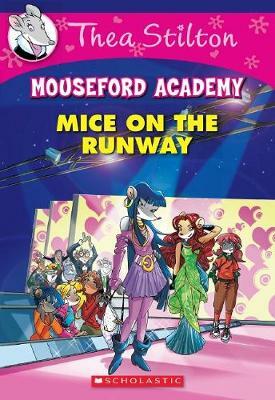 Colette has been selected to plan a student-run fashion show at Mouseford Academy, and her friends the Thea Sisters rally around to help. There's a runway to build, fashion bloggers to invite, and clothes to design. And as usual, diva mouse Ruby Flashyfur has a plan to land herself in the spotlight. Will she succeed, or will Colette and the Thea Sisters come out on top?